Mosquitoes, coming from the Spanish word for "little fly", are a family of small, midge-like flies. 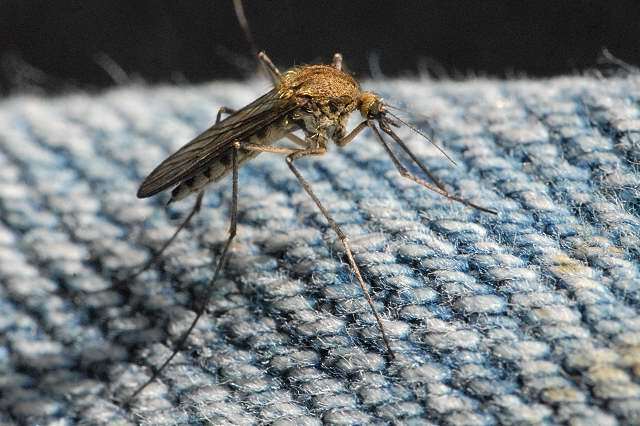 Mosquitoes are commonly associated with sucking blood from a variety of hosts like vertebrates, mammals, birds, reptiles, and even some kinds of fish. However only the females do this. The saliva of the mosquito can cause irritation. Mosquitoes are also known to transmit harmful diseases such as yellow fever, malaria and filariasis. El Mosquito Grande en el supermercado!